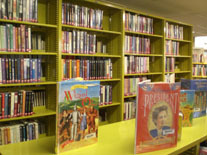 Books on the shelves in the library. 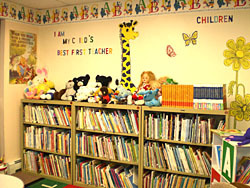 Children’s area in the Conejos Library. 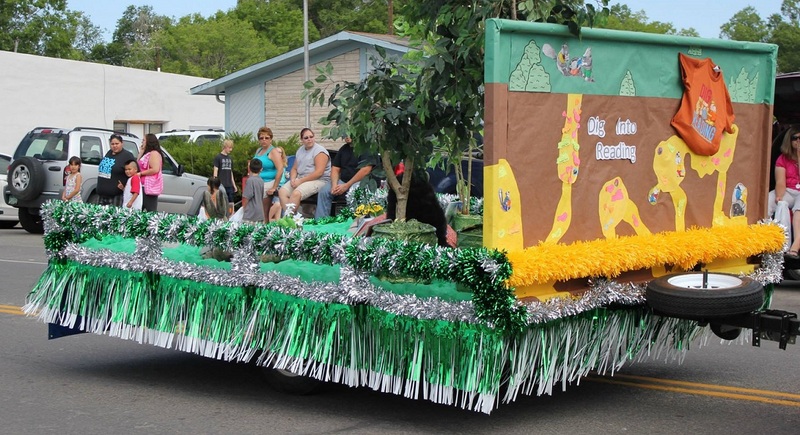 The Library Float in the Manassa Pioneer Days Parade July 24, 2012. 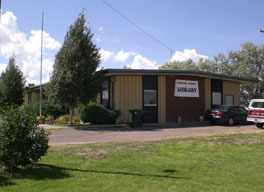 The theme was Dream Big – Read, the summer reading program theme. 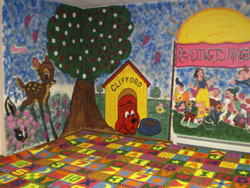 The float featured a child’s bed and rocking chair with clouds floating around with hopes, dreams, and wishes. Book Sale September 3, 2011Lots of books for sale on September 3, 2011 as Mercy, Ruth, and Diane mingle with the patrons. 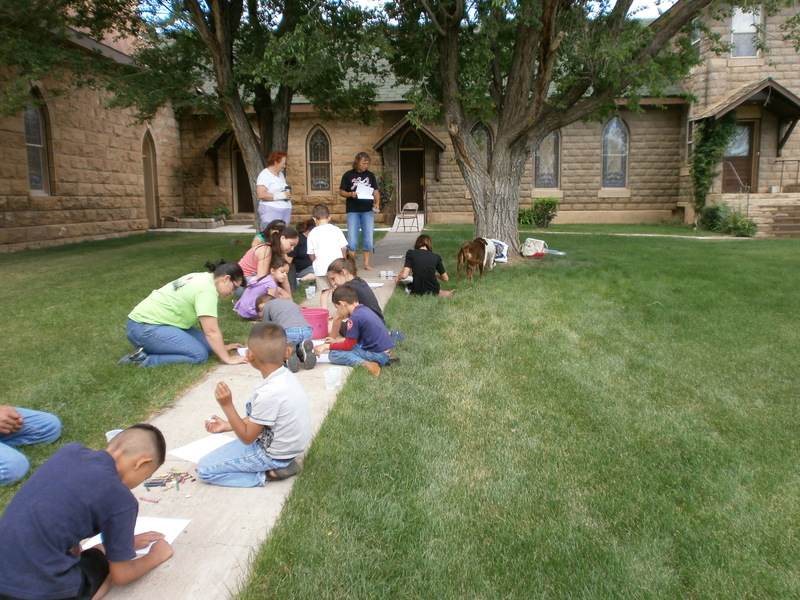 Summer Reading Program in Capulin. 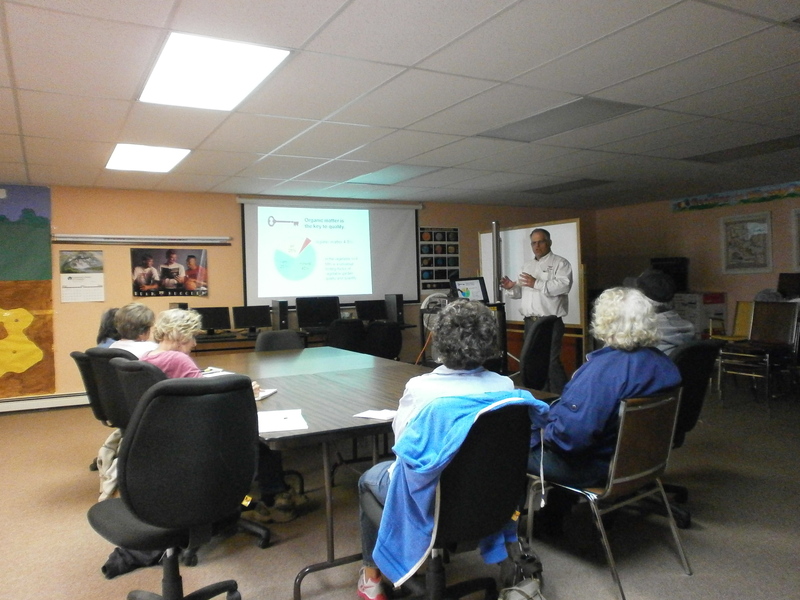 Gardening Workshop held May 9, 2013 at the Library. Dig into Reading! 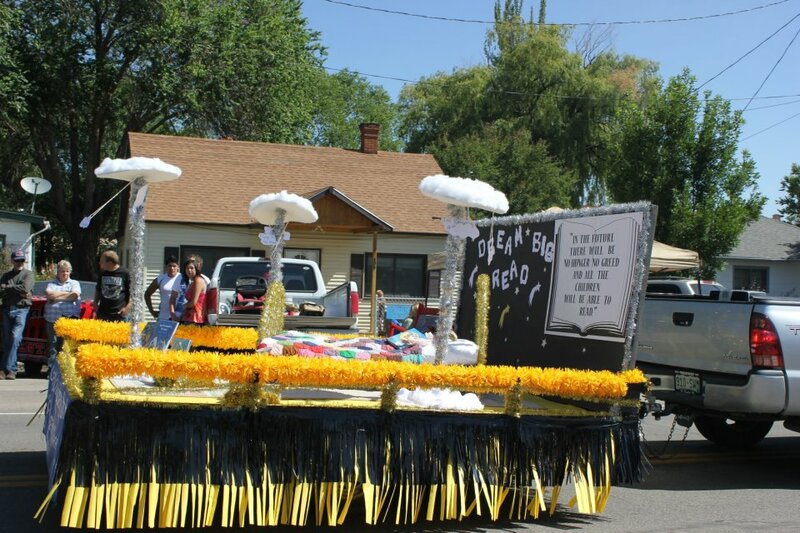 The Conejos Library Float in the Manassa Parade, July 2013. 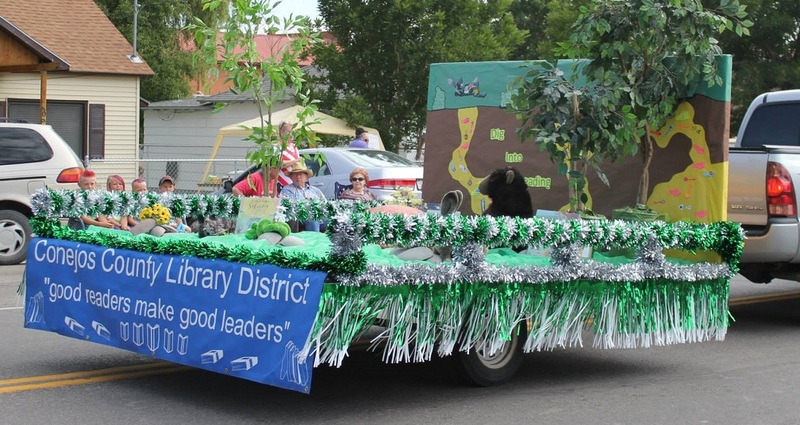 The Conejos Library District Float in the Manassa Parade, July 2013. 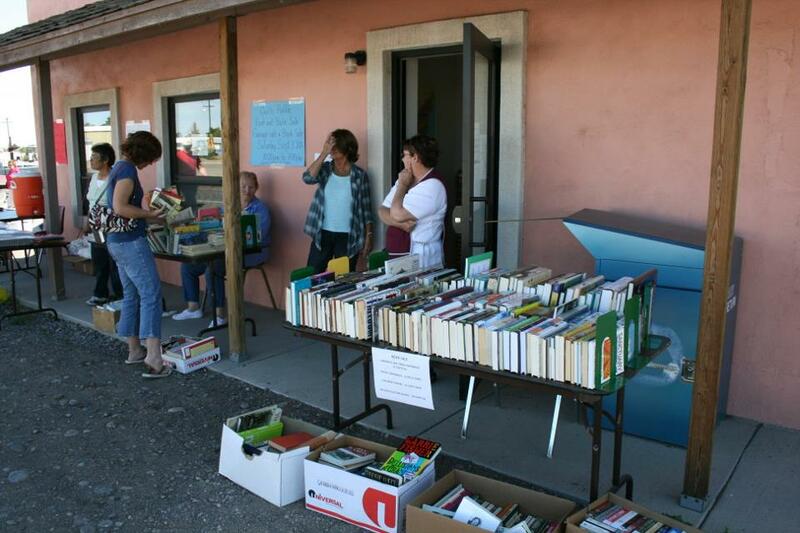 The Theme was Dig into Reading, which was our Summer Reading Program Theme for 2013.